Santa Maria Transit General Manager Austin O’Dell told the council Tuesday night that there is a lot of loitering, begging, smoking, vandalism and loud music at the city transit center and other bus stops. Homeless people often sleep on or next to bus stop benches. They also often harass and intimidate bus riders, O’Dell said. Mayor Alice Patino said a lot of residents do not want to go to the bus stops because there are people lying on the benches or placing all of their belongs at the waiting areas. The proposed ordinance will create a code of conduct for the city’s transit system. It is modeled after a code of conduct for Santa Maria’s library and City Hall. In 2014, the Santa Maria council instituted a one-strike rule at the city library in which misbehavers face immediate bans of up to one year. Santa Maria library staff had complained about having to cope with rowdy behavior and homeless people who bring large bags into the building. The transit system ordinance targets loitering, sleeping, smoking, vandalism, loud noises, passenger hygiene and harassment of bus riders and operators. Enforcement actions will include warnings, citations, fines, arrests and suspensions from the transit system. Council members are expected to give final approval of the ordinance at an upcoming meeting. All of those things are already illegal government fools. Enforce actual law. Santa Maria City officials have long ago forsaken the rule-of-law, and now Santa Maria is dangerous, violent and families are fleeing the chaos. The current city council has embraced ‘Sanctuary City’ policies, and taxpayers are most of their policies are about protecting and abetting the Big Ag labor source. North Santa Barbara political leaders Mayor Alice Patino and SB County 5th District Supervisor Steve Lavignino take campaign cash from Big Ag, and lack the political courage to stand up to their donors and demand an end to this nonsense. 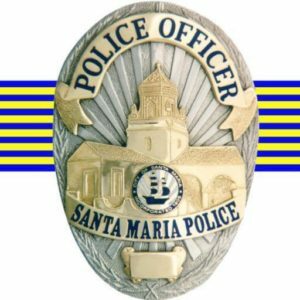 DO NOT let what has happened to Santa Maria happen in San Luis County. There are shelters, parks, plenty of places for the homeless to stay cool/warm/ sheltered other than the bus stops. There is no bathroom facilities or water, so it is actually inhumane for them to be allowed to loiter there. The benches are for bus riders. I know we all know this, but society has gotten so crazy these days that it is almost a requirement to simply state what SHOULD be considered a given. Homeless persons are eligible for food stamps and general assistance funds (cash aid) if they are not already on social security disability. To harass the public is disgusting, and if they really need help, they should to go to the established agencies to get it, not some broke person who has to ride a bus or an elderly person on a fixed income. Shameful. There are undoubtedly more problems than the amount of possessions homeless people must lug around but that problem could have a solution. There have been bike lockers installed near transit stops and at other high traffic areas in many cities so that cyclists can leave a relatively valuable bike in a secure place where it won’t be stripped. Such lockers can be made either coin-op like a parking meter or free with the occupant providing his/her own lock. They could also do double duty as storage lockers for the possessions of the homeless if policies were in place to prevent them from being abused. (No overnight storage, etc.) Other than giving the homeless free bus tickets to another place (as some other places have done), there aren’t many solutions. They do need to keep what few possessions they have secure and that usually means hauling them around with them. Next, the will be sleeping, eating and watching TV in them with their shopping carts etc. Santa Maria has so many disgusting problems in their community because of their kind hearts that now they can’t control all the evil. I for one use to love to go to SM for the day, shop, eat, go to the theater, etc. Now, I don’t understand how anyone would want to live there and keep their sanity. A real shame, but the wanted it and now they have it! If conservatives said they were “targeting” a liberal in a political campaign the liberals would freak out saying they were making a death threat. Don’t believe me? It has happened. I hope the ACLU doesn’t do the same thing on behalf of the homeless in this case. And . . . are we taking bets on how long it will be before the first lawsuit by the ACLU regarding the rights of those causing the problem?